It is a great honor to serve as the Chief Nursing Executive for UCHealth and Chief Nursing Officer for University of Colorado Hospital. Every day I observe nurses throughout UCHealth in the role of partners and key strategists in creating an environment of life-long learning, teaching and collaborating with interprofessional teams to carry out our mission of improving lives. Communities across Colorado rely on UCHealth and UCHealth nurses to be health care leaders, providing exemplary patient- and family-centered care. Our nurses have a genuine focus on patients and their families. I am proud of the advancements our nurses make in nursing practice and care delivery across the system, from the patient’s bedside to the clinic office, to the board room. Clinical nursing practice is supported across UCHealth by the UEXCEL program, the Nursing Clinical Practice and Credentialing Model. This model supports nurses in advancing their careers through professional-development opportunities while continuing to provide direct patient care, thus upholding our belief that clinical excellence is our highest priority. Leaders are cultivated and mentored through customized education and development events, cohort-based development programs, and the Leadership Academy. Collectively, UCHealth nurses are dedicated to improving lives through excellence in patient care, embracing innovation and using research and evidence-based practice to propel nurses as leaders in health care. Our nursing staff believes in a Patient- and Family-Centered Care model where our patients are the center of care. High-quality care is provided along the health continuum. Patient care is provided through collaborative relationships among the patient, family, nursing staff and other healthcare providers. Quality patient care is guided by a Nurse Practice Council comprised of Advocacy, Community, Education, Professional and Quality components. Marcia is an engaged leader in Surgery South. As a Certified Perianesthesia nurse, she mentors and inspires others to become certified – serving as a personal study coach, using her own resources to help others achieve certification. Marcia presented “28 Feet and Counting”, an overview of gastrointestinal surgeries at a national conference, inspiring nurses within our unit and around the country by sharing her knowledge. 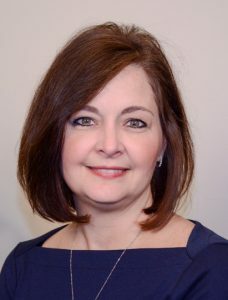 She is currently the Rocky Mountain Peri-Anesthesia Nurses Association District 4 President and a candidate for the National American Society of Perianesthesia Nurses Secretary position. Marcia is leading a project to improve patient experience and preparation for discharge and home care after surgery, empowering nurses to change how and when we educate. She has enlisted the entire team to be involved because she believes that empowering nurses to lead teaching and education initiatives will result in improved patient experience. Marcia is a transformational leader because she takes the time to listen. She leads by her example to be bold: To serve when and where is needed, even at the national level, to change our nursing processes when it is best for the patients, even if it’s not comfortable. Marybeth has been a peri-anesthesia certified, registered nurse in MCR’s SAC/PACU for 11 years. She is an involved charge nurse, active on our unit-based council, and serves as Vice-Chair of MCR’s Magnet Steering Committee. Where MaryBeth has shined this year is through her incredible amount of time and energy to mobilize MCR in support of a local chapter of a national foundation in our community, Support the Girls. This foundation locally supports women and girls in need by providing bras and feminine products. In January, MCR held a drive for the local chapter. It was immensely successful collecting over 1,000 bras and 10,000 feminine hygiene products and MaryBeth was the heart and soul of it all. The drive gained national attention and articles were written highlighting MCR. It takes a benevolent person to volunteer and become involved in one’s community. It takes an even higher level of selfless heart, thoughtfulness and commitment to mobilize a whole hospital to become involved. Marybeth took our MCR community and empowered us to serve, through her excitement, rounding, and dedication. Jenelle is compassionate, intelligent and the definition of integrity. Two years ago, Jenelle returned from a national conference inspired to make a difference for patients and families in the ICU when she identified a gap in care. Jenelle set out to combat Post Intensive Care Syndrome, also known as PICS. She started her project with education to staff on awareness of PICS and the impact it has on patients. She created an ICU journal for every patient in the Cardiac ICU. The project received grant money to implement the journals in other units. The PICS project is set to roll out in SICU and PVH ICU and eventually will go system-wide. In January 2018, Jenelle and her co-workers held the first-ever UCHealth ICU support group. The support group and PICS awareness was also featured on 9News. This gives patients and families hope after an ICU stay. Jenelle has committed numerous hours to this project and it is successful because of her passion for patient and family-centered care. Jenelle exemplifies professional practice, nurse autonomy and patient and family centered care. Amber has been instrumental in implementing resuscitation training in the MCR ED. This evidence-based practice integrates performance improvement, critical procedures, and in-hospital patient safety initiatives. Amber developed a pre-education PowerPoint and quiz to help staff absorb and implement this new knowledge. She was a part of ensuring optimal functionality of special defibrillation pads that provide real-time information to staff about the quality of their CPR and allow for unnecessary interruptions in chest compressions. As a champion for this innovative practice in the ED, she continues to support staff in their ongoing education. She can be found coming into the ED on days she is not scheduled on the floor to assist with refresher trainings for staff. Amber is also a part of researching how this training is resulting in improved patient outcomes through evaluations of all of the Code Blues that occur in the MCR ED and serving on the MCR Code Blue committee. Amber is very passionate and approachable, welcoming any questions that staff may have to help the implementation of this new technique be as successful as possible. Alex is an exceptional leader and mentor for great patient outcomes. He has an indescribable passion for patient safety and nursing practice. He is a champion for many patient safety quality committees and patient safety indicators. Alex has been an advocate for staff safety regarding hazardous drugs. He conducted audits to identify patients on Hazardous Drugs and ensured signage and protection were in place. Audit findings encouraged him to create tip sheets for staff, as he identified many were not aware of what protection to use. He educated charge nurses on how to easily identify in EPIC if a patient was on a Hazardous Drug. This has dramatically improved staff safety of encountering potentially harmful exposures. As a new graduate RN, Alex developed the foundation of the c-diff policy many of us use today. 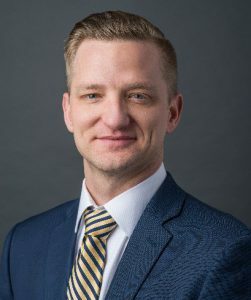 Alex sits on the regional C-diff subcommittee, reviews literature, and facilitates many conversations that have resulted in revising the testing policy to include restricting ages, no stool softeners/laxatives, and no tube feed. Alex serves as a mentor and education liaison to the Medical unit, as well as a collaborator with many other departments. Ensuring empirical outcomes is his passion. As a clinical nurse, Dr. Melanie Roberts demonstrated extraordinary commitment to improving patient outcomes in the critical care setting. The Cardiac Surgery Unit-Advanced Life Support (CSU-ALS) protocol improved mortality rates for cardiovascular surgery patients at Medical Center of the Rockies. The CSU-ALS guidelines focus on prevention of cardiac arrest in post-operative patients through early intervention of the protocol. Initially, there was a decrease in the incidence of cardiac arrest, but we did not see a survival to discharge benefit. However, in 2017, we achieved a survival to discharge of 70%, which is consistent with the literature. There was also a significant decrease in the number of patients who required chest compressions—73% compared to 25% prior to the implementation of the new protocol. This is clinically significant because of the risk of injury during chest compressions and potential injury to the sternal incision. This was the first protocol of its kind in the nation, and outcome measures changed how and when we intervene with cardiovascular surgery patients. Our nursing staff core values and beliefs center in relationship-based care focusing on the nurses’ relationship created with patients and families, the nurses’ relationship with self, and the nurses’ relationship with colleagues. 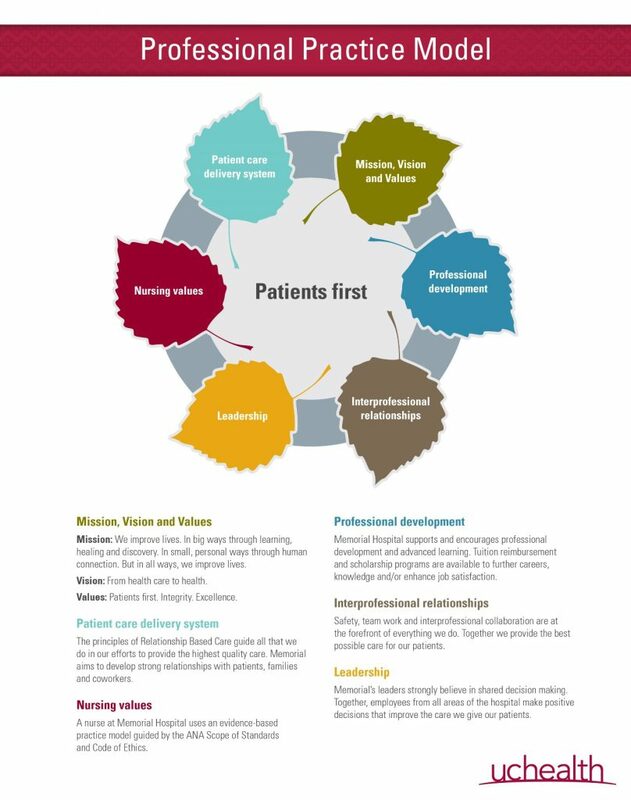 At the heart of this belief is the human connection between the nurse and the patient through clinical interventions, touch, kindness, listening and understanding of the patient’s values, beliefs and preferences. Kersten is one of our permanent Charge RN on our unit. This was a position she aspired to almost from the time she was a new nurse. She has worked hard to develop her professional skills by completing the Phase I and Phase II of the Nursing Leadership Development program. She has obtained her certification also inspired others to complete their Medical Surgical Certification. As the SME on our unit for Epic she is a resource for others. She is often the first to initiate change on our unit and motivates others to accept change. She also supports newer staff to understand processes and aid with implementation. When a new change is rolled out she is one of the first to help staff with becoming comfortable with this change and increasing consistency on our unit. She will often attend shared governance meetings and represent our unit at various meetings when others are “too busy”. Kersten has shown initiative with many of the changes occurring at Memorial North as a transformational leader on our unit. Steve Wesselhoff, PT in the RPCU as an outstanding clinician because of his transformational leadership. Steve is an integral team member that strives to propel the department forward by making procedural changes to benefit our patients. Recently he implemented a SCI Protocol with the help of our Medical Director, Dr. Marc Kelly and is in the process of implementing that with our ICU Team, Rehab Team, 4C Trauma Floor and Trauma Services. In addition, Steve has developed and leads our Stroke Support Group that meets once a month which has been very successful for our patients who have experienced a stroke. Steve is an active member and chair of the unit practice council. He also serves on the Board of New Knowledge, Innovation and Research. Steve is currently applying for “Senior Therapist” status for our Rehab Clinical Ladder. He is an approachable team player that is always ready to share his knowledge and new ideas. Steve started taking students this year and both of his students thus far have reported in their site evaluation that Steve was, “outstanding” and “the best Clinical Instructor I’ve had”. Steve is very self-motivated to help others as well as develop himself. He is currently working on his Master’s Degree in Hospital Administration. In summation, Steve consistently displays a relentless commitment to his work and a genuine concern and compassion for his teammates, student’s patients, and their families. Steve’s leadership, character, interpersonal skills and emotional intelligence are some of his many assets. The relationships he is able to build with all whom he encounters is remarkable. Steve consistently makes good decisions, is confident and reliable. Tara is known in the Emergency Department as a “go to” person when you want to know if something is evidenced-based. As a constant voice for our patients and staff, Tara advocates relentlessly for the pursuit of the best emergency care possible. In her role as the Emergency Department Clinical Specialist, Tara is a daily advocate for improving the care we deliver. As part of the ED Leadership team she challenges, argues, and most often wins when debating what’s best for our patients. We have relied on Tara to bring us the evidence, implement a solution and train our staff to carry out the skills to save lives. Tara has helped us implement our CIWA guidelines, improve our scanning rates for medications and pump compliance. She’s led efforts to deliver quality care to inpatients who have to board in the ED while awaiting a bed in the hospital. She has advocated for changes in the Code Blue response and advocated for equipment to aid in emergent resuscitations. Tara has attended the Emergency Nurse’s Association Conference this past year and is always finding ways to continue her own education so that she can bring the latest evidence to the bedside in our departments. Tara is a unique nurse leader with a passion for educating her peers, advocating for best practice and improving the delivery of nursing care. Amanda is the definition of an employee who leads by example. She works well within an interdisciplinary team and reaches out to other disciplines in order to ensure the best care for her patients. She recently reached out to Dr. MacIndoe and set up an in-service for the rehab department providing a learning opportunity for others. She also provided a transfer training course for both rehab therapists and nursing staff. Amanda routinely uses evidence-based practice to provide the best, individualized care for her patients. She takes multiple students throughout the year and provides an environment for learning and professional growth. Amanda is an individual who leads by example and is the quiet role model in the department that others emulate. She is a wealth of knowledge with multiple years of experience and uses that knowledge to help mentor others. She is a leader and an asset to the rehab department. Elizabeth is one of the most professional nurses. I have ever worked with. She has been pivotal in the development of the Trauma program at Memorial North. Her facilitation of Nursing Trauma Peer review is unbiased and collaborative. She encourages interdisciplinary collaboration to improve communication and patient outcomes. It has become a forum for the trading of ideas and exchange of information between departments. At all times it follows just culture while striving to improve processes and patient outcomes. She tireless worked to develop a trauma class specifically for the nurses at Memorial north Med Surg. At all times she is humble and kind while proving to be a valuable resource. She embodies Exemplary Professional Practice in nursing. Amber Bechert has been a prn tech for UCHealth for the past three years. She has been coming to North Outpatient Oncology Infusion Clinic for the past year. Amber is the kind of tech that our patients ask about when she is not around because they love the way she looks after them and their family. Our fulltime tech for North left the first week of March. Amber volunteered to come to the North to precept the new fulltime tech. She spent time showing him our workflow and the processes that he would need to be successful. She explained the basic cancer concepts to him so that he would understand what we do in outpatient oncology infusion. Through her guidance, our fulltime tech was able to start taking care of our patients on his own in 3 weeks. Amber still mentors our new tech by calling him and stopping by to see how he is doing. She understands that precepting includes mentoring. She believes that just because a person comes off the “official” orientation does not mean that they do not still need some guidance. Jennifer is nominated for the implementation of a turn team on Medical 5 North. Jen attended a system-level conference last fall and brought those learnings, combined with other evidence-based research regarding pressure ulcers, to our department. She presented evidence of why a turn team (new practice) creates better quality outcomes for our patients. Jen developed a staff education handout and presented data and pilot roll-out in person at staff meetings She also invited our SAGE rep (subject matter expert) to demonstrate the TAPS system (turn and position system) that helps to properly position patients and reduces strain on employees. She also developed a two-person team timeline throughout the 24 hour period, so that every two hours, staff are preassigned to be turn team participants. Patients are designated on our daily census of who they visit. She also developed a portable supply cart with a standardized list of supplies that the turn team takes with them room to room. This saves time as the staff doesn’t have to go search for needed supplies or linens. Jen very thoughtfully implemented this pilot and ensured that she included research, evidence-based practice, pressure ulcer data, supply needs, gained staff buy-in, and created a solid process to ensure our patients are turned on a regular basis. Marlene Bigelow, PT is one of our staff physical therapists at Powers Adult OP Rehabilitation. She has been with this organization for less than one year and has demonstrated a drive and passion for filling in areas of need within our department to facilitate better patient care. Marlene presented an idea for offering a program for our Parkinson’s population of patients that is offered by other facilities in Colorado Springs. LSVT Global is a program that involves a movement component (LSVT Big) and a speech component (LSVT Loud), and it is a program that our neurology group accepts as the appropriate standard of care for patients with Parkinson’s disease. Marlene and I set up a meeting with our manager’s and director. She prepared a very thorough presentation that facilitated talks with our neurology department. Since presenting the program as an idea in January, we have moved forward and another physical therapist within our system has since gotten certified in LSVT Big, as we anticipate a greater need for services. Marlene is scheduled to begin seeing her first LSVT Big client in the next few weeks, and she is looking forward to sharing her expertise and passion to help improve the lives of her patients. Though this, Marlene has gained a great deal of respect by bringing a new idea forward as a new employee. In her short time here. She was able to bring new eyes to our department and identify a population of patients who could receive more options for care. Jennifer (Jenn) Carey has been working in the North Oncology CHMG office over the last year and a half as their office nurse. She has strived to build a better working relationship with the staff of North Outpatient Oncology Infusion Clinic (NOOIC). On a daily basis, the two clinics exchange information 10 – 20 times if not more. We discuss appointments, lab values, prescriptions needs, medication reactions, and so many other things. Jennifer is my go-to person to get things done for our oncology patients. As soon as she started in the doctor’s office, we talked about how we could best take care of the patients. We began by sharing reports that we run for our clinics. We try to anticipate the problems that might arise with an appointment and then try to take care of it before a patient gets to either of our clinics. Jenn coordinates with the NOOIC scheduler and clinical lead so that there are no surprises on our schedule. Always the goal is to provide top notch customer service to the patients and to the staff of the NOOIC. Jenn has been a team player working toward better relationships with all clinic members. Elizabeth came to UCHealth 6 years ago and has proven to be a wonderful asset to our Outpatient Rehabilitation Department. Elizabeth, also known as “Lizzy” demonstrates superior clinical knowledge and application of evidence-based practice and applies both in ways that measurably impact the quality of care and improve patient care outcomes. 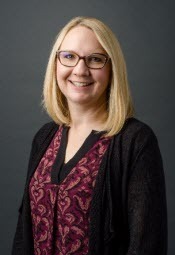 As a developing leader, Lizzy holds a title as a Senior Therapist and has distinguished herself through performing multiple roles, such as PPIC member, peer team member, clinical instructor, and adviser for Orthopedic Services at Printers Park Medical Plaza (PPMP). As an illustration of exemplary professional practices has made a tremendous contribution by proposing patient-specific outcome measures be mailed to patients to improve the efficiency of the check-in process for scheduled appointments. As a result of Lizzy’s contributions, the clinic has experienced an increase in outcome data scores based on the recommendations Lizzy has provided. One example, the Patient Specific Functional Scale (PSFS), is a functional outcome measure which has shown validity, reliability and responsiveness from patients through subjective information. As of 2018, PPMP’s PSFS Scores, patient’s average is 3.62 which indicates patients are experiencing significant changes based on the national scale average score of 2.0-3.0 which identifies a detectable change for this outcome measure. Megan and her team provides medical forensic care to nearly 1900 patients per year who are victims of violence (sexual assault, human trafficking, intimate partner violence, child abuse, elder abuse, strangulation). This program began at Memorial Hospital in 1995 as the only Sexual Assault Nurse Examiner (SANE) program for sexual assault victims living in El Paso and Teller counties. These victims include patients who present to the Emergency Department (ED) for intimate partner violence, elder abuse, strangulation, child abuse, trauma and human trafficking. The FNE Program is also involved in several research projects. The team is in its third year as a participant in the Women’s Health Study, which looks at the healing process of victims of sexual assault. This team is also the pilot site for a rapid DNA study, decreasing the analysis time of sexual assault evidence kits from months to hours. Most recently, the FNE team is spearheading a research project on living victims of strangulation, a topic in great need for new research. The goal of the FNE Program is to develop and provide the best trauma-informed care to patients; improving their lives. This is done be practicing evidence-based care, maintaining community relationships, innovating practice with research and sharing knowledge. The nursing staff is committed to providing quality patient- and family-centered care through collaborative partnerships among health care providers, patients and families. The Coordinating Council governs the quest for excellence in evidence-based nursing practice, focusing on the domains of quality, education, advocacy, community and professionalism. American Nurses Credentialing Center Magnet Designation® 2000, 2004, 2009, 2014, 2018. Advanced Certification as a Primary Stroke Center by The Joint Commission National Quality Approval, 2010, 2012, 2014, and 2016. American College of Surgeons Bariatric Surgery Center Network (ACS BSCN) Accreditation Program – Bariatric Center of Excellence. Re-designated, 2015. Patient Centered Medical Home, Level 3 – Family Medicine Center, National Committee for Quality Assurance (NCQA). Vizient Excellence Award- The Bernard A. Birnbaum MD Quality Leadership Award – Vizient, 2016. Great Place to Work® - University of Colorado Health, 2016. US News and World Report ranks Poudre Valley Hospital as #5 in Colorado in 2017. Becker's Hospital Review - 100 Great Hospitals in America, 2017. American Association of Critical Care Nurses Beacon Award for Excellence, ICU, Silver Level, March, 2017. American Stroke Association Get with the Guidelines, Silver Target Stroke Honor Roll, May, 2017. American Stroke Association Get with the Guidelines, Silver Plus- Target: Heart Failure, May 2017. In 2017, ED clinical nurse Lauren Roy created a plan and a process for Mass Casualty Incidents. Lauren took the table top review process and developed an MCI core team that now drills on MCI bi-monthly. Lauren collaborated with nursing leadership from other regions regarding their MCI plan. She partnered with many other disciplines including providers, pharmacists, and representatives from patient access and trauma services with a command center perspective. She also started working with champions from inpatient units who are implementing their own Emergency Preparedness plans. She created easy to use posters for decontamination process and START triage which is used in a disaster so there is an easy reference to follow. Lauren continues to partner across the system to ensure that no matter which UCHealth Hospital faces a disaster; we are all equally prepared. Lauren role-models the standards of excellence and has exceptional clinical skills. She also has a way of providing constructive feedback that is non-threatening and builds confidence, this transformational leadership skill is difficult to learn and one that Lauren has mastered well. Jenny has been involved with the Neuro Unit’s UBC from its inception and she has taken the lead on several initiatives. In July, Jenny will become the Chair of Neuro’s UBC. Her involvement includes the production and starring in educational videos to help support the UBC’s handwashing initiative. Jenny has also starred in educational videos supporting hourly rounding and bedside reporting initiatives. Each quarter Jenny organizes all of the staff recognition and with staff input identifies the “star neuron”. The star neuron award includes recognizing you points and a picture on the unit’s recognition board. Aside from her engagement at work, Jenny consistently sets goals to be active in the community. Jenny has presented at nursing care facilities and grocery stores in Fort Collins to provide stroke awareness education to our community members. Most recently Jenny attended a local high school job fair to promote nursing as a future career to local high school students. Jenny has completed all of this while also attaining the ANCC Medical Surgical Professional Certification and will be completing her BSN studies this summer. Megan has worked on the Women’s Care Unit for over 7 years and has grown from a novice to an expert in the field of maternal/newborn nursing. She demonstrates professionalism and maintains a high standard of excellence. Megan ensures that every member of the Women’s Care Team is informed and has resources they need to complete their work. She took on the challenge of producing and maintaining a monthly newsletter. Her newsletter is the talk of the service line is used as a resource. Megan identified a gap in knowledge and nursing practice for the long-term antepartum patients on the women’s care unit. After a rapid improvement event conducted on the unit, Megan took it upon herself to organize and maintain an antepartum “team”. Every month Megan identifies a new topic to keep the team educated to care for these high-risk patients. As our former Unit Based Council Chair, Employee Engagement Representative, Team Lead for the women’s care unit antepartum team, and various other committee involvement, Megan is our expert for new initiatives needed to improve clinical outcomes and safety. Edna has a nursing career spans over three decades. And she has had many achievements in that time. Fortunately for the newborns and their families, another achievement is the application of the swaddle bath. 38 percent of babies cried during a swaddle immersion bath compared to 93 percent who cried during a sponge bath. Babies who receive swaddle baths have less variability in temperature — which is important to keep their glucose and energy levels stabilized. The study showed that babies and their parents were less-stressed during the swaddle bath. The process took less time and fewer steps to complete when compared with a traditional sponge bath. The increase in satisfaction had a domino effect on the rest of the patients’ experiences at the hospital, from latching for breastfeeding and sleeping to the confidence the parents had when going home with their newborn. This new knowledge is being adopted in the NICU and throughout the UCHealth system. Through her UEXCEL project, Kristin proved positive outcomes can be realized through nursing action and data collection. Proving that Purposeful Patient Rounding can be successful when using the 5 P’s of rounding, she instilled trust in her colleagues that rounding does work. She taught that actions lead to outcomes. Specifically, through Kristin’s work, patient knowledge of hourly rounding increased. Additionally, her project’s actions helped decrease daily call light usage from 205 call lights per day to 173 call lights per day. Most noteworthy, was the outcome of the Surgical Units HCAHPS results. Kristin’s project facilitated the increase of the Nurse Responsiveness scores. Starting out in the 67th percentile, Kristin pushed the 5 P’s to staff through education, literature, evidence, and reality on how to make it work. She knew the literature and evidence supported her project. Slowly and surely, with the implementation of the 5 P’s, the Nurse Responsiveness scores continued to rise throughout the course of her project. She exceeded her goal and the unit goal when the Nurse Responsiveness scores rose to the 77th percentile. In 2018, Kristen Boettcher, RN, implemented a new order set for patients in acute alcohol withdrawal in the critical care units. This innovative intervention occurred after Kristen performed a review of the literature; identified and coordinated a team of key stakeholders; created and distributed educational materials for the nursing staff and implemented a standardized protocol including a decision tree. 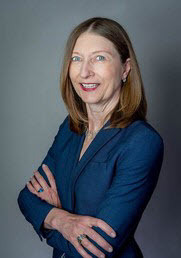 Kristen consulted subject matter experts outside of the organization and conferred with leaders within the organization to explore the opportunity for change. The pilot program proved successful with outcomes including decrease use of Ativan infusions lowering the risk of aspiration, and the Mortality index for patients receiving the innovative treatment decreased from 1.08 to 0.78. Patients admitted to the critical care units are now treated with this innovative approach for management of acute alcohol withdrawal. 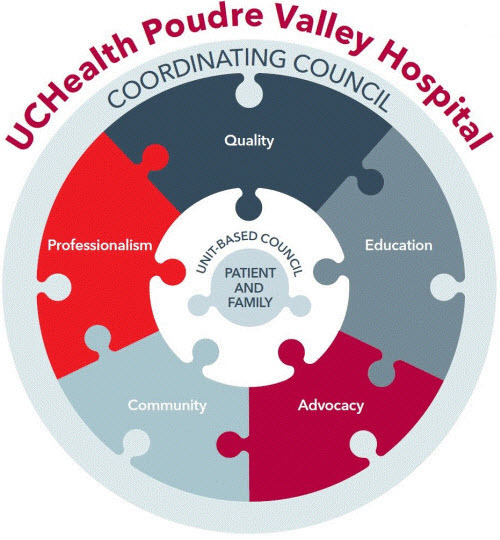 University of Colorado Hospital’s Professional Practice Model aligns with the UCHealth mission to “Improve Lives” and depicts the structure for professional nursing and interprofessional practice at UCH. Patient and family are the center of professional nursing practice at UCH. 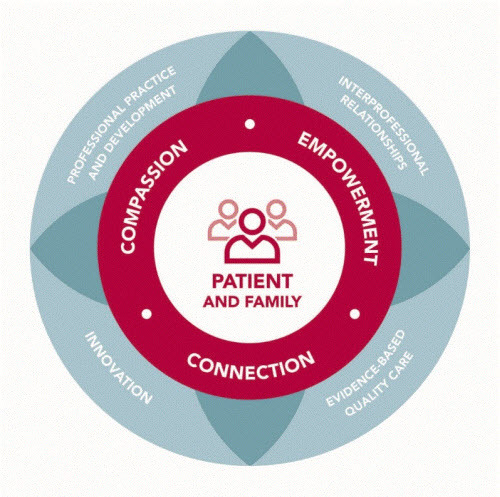 Nurses create connections with patients and families through compassionate care, while advocating for and empowering them to improve their lives across the care continuum. Nursing’s professional practice is anchored by the UEXCEL Nursing Practice and Credentialing Model which guides nursing practice with defined practice standards and supports nurses’ continued professional development. UCH nurses foster integral interprofessional relationships and incorporate innovation in the delivery of evidence based quality care. Cheryl discovered inefficiencies in the structures and processes for a newly diagnosed and referred cancer patient to be scheduled to see a physician in the urology/oncology clinic. The referral process lacked standard work in the way that referrals were received by UCH, which caused delays for initial clinic contact to the patient. Cheryl worked with the team in creating a new process where all referrals were received, transcribed and time stamped by a scheduling team. As a result, the clinic had a drastic reduction of wait times for referrals. Lindsay worked closely with leaders to build and evaluate the Nursing Acuity Score (NAS) acuity system and coordinated all the activities associated with the pilot process. This pilot was labor intensive and required constant oversight as a leader champion. She developed a workflow process to make assignment creation easy and fair based on the end score. Extreme scoring outliers were evaluated and modifications to the acuity tool were made. Lindsay played a huge role in helping to shape this innovative tool for the organization. Logan developed an innovative approach in designing new technology to allow charge nurses to practice at the top of their scope while focusing on eliminating inefficiencies that can alter productivity in performing day to day charge nurse tasks. Logan built a multifunctional tool that would allow the blending of patient information among different systems, support capacity management/planning, create communication tools, and overall assist with staffing management of the unit. Elyse identified a significant need for our critically ill patients in the STICU through a more efficient process to obtain a tracheostomy (trach) or percutaneous endoscopic gastrostomy (PEG) tube. Through Elyse’s coordinated actions, leadership, patience and ongoing diligence, this innovative team prevented at least 168 handoffs and transport episodes for critically ill patients. Post-intervention data showed they were able to free up valuable OR time. Knowing we support continuity of care, avoid additional transport episodes and provide necessary interventions, all while patients remain in the safety of their ICU room. These factors ensure continued success as the ICU PT employs an innovative approach to keep the patient at the center of the care model. Tayler significantly enhanced nursing workflow across all medical-surgical departments, improving nurses ability to work at the top of their scope, increasing the breadth of impact clinical nursing assistants have upon direct patient care, and making every moment matter to those closest to the bedside. Tayler recognized significant call fatigue among nurses related to multiple non-emergent interruptions in the care of their patients from the telemetry department. Tayler took initiative and spearheaded a challenging quality improvement project that ultimately resulted in a revised telemetry algorithm with widespread impact to the care of our patients. Tori developed a nursing checklist that could be utilized at the bedside to improve nursing compliance with specified interventions. Tori also collaborated with providers and interdisciplinary teams to develop the Neurosurgery Spine Post-Op Pathway – and she created and implemented an order set to help automate many of the routine orders to mirror the pathway. Through her hard work, Tori decreased the length of stay of our spine population. That provides a significant benefit to our patients, as well as to the hospital in terms of capacity management. Hannah sought out to make quality outcomes relatable and real for the front-line. Her goal was to decrease Falls, CAUTI, CLABSI, HAPI and C.Diff from prior fiscal year (FY) with 3 interventions: 1) Quality Metric of the Week- a calendar for the entire year, outlining the weekly rotation of the five priority quality metrics. Once the content is created, it is shared with the unit charge nurses, who are then responsible for disseminating it to the entire team at daily shift huddles. 2) Visible outcomes board displaying data in a way that front-line can read and relate. 3) Quarterly, interdisciplinary Quality Meetings. In less than one year after the implementation of Quality Metric of the Week, improved outcomes board and Quarterly Quality Meetings, the Internal Medicine unit saw significant improvements in several of the priority quality metrics. One of Chelsea’s largest accomplishments for the MSPCU came through her development of a bedside tool to guide nurses in completing a two-person skin check on admission and transfer to the unit. To improve skin assessment during these transitions of care, Chelsea focused her efforts on staff education through staff meetings, emails, one-on-one education rounds, and unit shift huddles. She also developed and presented a skin boot camp to reeducate and reinforce the staff’s knowledge on pressure injury staging, wound care, the two-person skin check process, and documentation. Empirical Outcomes. Colleen generated groundbreaking research encompassing patients’ and caregivers’ emotional, rational and fundamental beliefs when considering an LVAD. The resulting data was published in three high-impact, peer-reviewed journals targeted at nursing, cardiology and surgical colleagues who implant LVADs. This work led to the development of two innovative decision aids, an eight-page pamphlet and a 26-minute video that are being used by LVAD programs across the U.S. and Canada. These efforts led to a $2 million grant from the Patient-Centered Outcomes Research Institute. McIlvennan’s pilot work and testing of the decision aids has led to national recognition from the American Heart Association and the Heart Failure Society of America. New Knowledge. Samantha led an inter-professional quality improvement team to develop a standardized protocol to treat patients with severe frostbite, which has saved 41 fingers and toes so far. In addition, she organized an initiative that reduced catheter-associated blood stream infections to zero, and created an innovative process to increase the skill set of nurses caring for burn patients. Outside the hospital, she has educated local EMS, fire departments, rural communities, and mountain resorts about beginning frostbite treatment hours before patients reach the hospital. Structural Empowerment. Tracey developed the hospital’s Stroke Program and led its successful effort to gain Joint Commission certification as a Primary Stroke Center. She has also developed stroke education programs for rural emergency medical services facilities. Earlier this year, she wrote a grant that ultimately helped to defray expenses for nurses preparing for the Certified Neuroscience Registered Nurse (CNRN) exam. Fourteen staff nurses earned the CNRN certification in 2011.